If you’re experiencing an issue with your Kindle Fire HD 8.9″, make sure your device is registered to your Amazon account. You can check your current registration status by swiping down from the top of the screen, selecting ‘More’, and then selecting ‘My Account’. There was an estimate of twelve minutes wait time to talk to Kindle support. That’s longer for Amazon in my experience. Given the long wait time, I think it is obvious that Amazon wants people to try to re-register their devices themselves before calling. “We are sorry for the inconvenience you are experiencing. This is not we want our customers to experience. In this regard, I would like to inform you that, the deregistration of your Kindle Fire HD 8.9″ Tablet is a known issue. As this is happening across many Kindle Fire HD 8.9″ tablets due a bug and our technical team is working to eliminate the bug. This issue will be fixed in next 2-3 days. You need not worry about the content on your Kindle, as it will be safe in your cloud library and you can download them, once this bug is fixed in our server. Some posters on the forums reported that they were instructed to re-register and then sync the device so that their content would reappear on the device. Others have reported being told that that they would have to manually download their books again. Some have reported being told that their libraries and apps would return within the next few days. Many people have reported losing all their personal content, bookmarks, app data and email. Needless to say, a lot of people are upset with Amazon right now! Amazon Kindle support definitely seems overwhelmed by the call volume. When I tried to call earlier, I was transferred to a support rep, then the call was disconnected. Amazon did not call me back (generally,they do if that happens) and it took an hour and a half for the ‘Did I solve your problem’ email to arrive. The follow up email read like Amazon thought I hung on on them, so it may be an indication of just how widespread this issue is. If re-registering doesn’t work, you may need to try to call Kindle Support. Safety PSA: If you have to call Kindle Support,use the ‘Contact us’ button on the help pages to initiate your call. There have been a number of scams perpetrated where people Google Kindle support and get the phone number for a fake site. They are then told they have to pay for support for their device. Amazon does not charge customers for customer service. 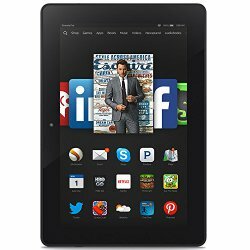 My own personal issue was with a Fire HD 6. I am not sure if the other Fire device resets are caused by the same problem, because other than the device setting resetting to default, most of my data is now showing on the device. I am still investigating the problem, but will probably wait until Monday to contact support again. Do you have any info to share on the issue? Update 2: Amazon has posted an announcement on this issue. Post here. This entry was posted in Kindle Fire and tagged Amazon forums, deregister, factory reset, Fire HD 8.9. Bookmark the permalink. Thank you so much for posting this! While it is very frustrating, at least I know I’m not alone! I really hope they do get this fixed! You’re welcome. I really wish that Amazon would send out announcements on these issues. It would be a lot less frustrating for customers. If you have to call Kindle Support, use the ‘Contact us’ button on the help pages to initiate your call. There have been a number of scams perpetrated where people Google Kindle support and get the phone number for a fake site. They are then told they have to pay for support for their device. Amazon does not charge customers for customer service. Thanks for the reblog and reinforcing the PSA about support. This mess is bad enough without someone getting scammed as well. I woke up this morning to discover my Kindle Fire HD 8.9 had deregistered itself. I registered it again, and my apps have slowly come back. I am wondering if Amazon had a security breach. Going to change my password, just in case! Patti, supposedly this was a software update that introduced a bug, but since Amazon is being close-lipped, no one knows for sure. Glad your apps came back! I’ve been having some trouble with my Amazon Kindle account. I wonder if this is the cause. Since Amazon is not telling us the cause and extent of this problem, it may be connected. You may want to call Kindle Support to see if they can figure it out. :). Thanks so much for posting this! A couple days ago, my Kindle was fine- this morning everything was GONE!!! At first I thought it was a security breach. Unbelievable that their server update could cause something this inconvenient, and more so that Amazon didn’t immediately notify everyone. Shame on them, but I am glad my google search brought me to your page. Thanks again!!! !